Locally abundant but very restricted in wet (spodosol) pinelands of the outer Coastal Plain (in Brunswick and Carteret counties, NC), locally common in relatively dry sandhills in a few locations in the Sandhills, disjunct in the Piedmont on a few quartzite monadnocks, fairly common in the mountains on rock outcrops at high to moderate elevations (on a wide variety of rock types) (Weakley 2015). Uncommon in NC Mountains, rare in Piedmont, Sandhills, and Coastal Plain. 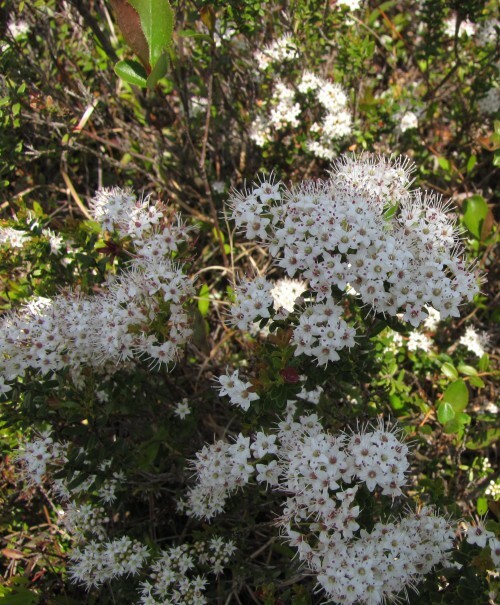 Formerly Leiophyllum buxifolium, Sand Myrtle has an odd, disjunct distribution. In the outer coastal plain of Carteret and Brunswick Counties where this was taken, it is restricted to wet pinelands.